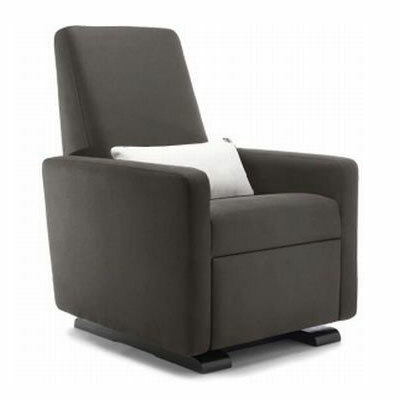 Monte Design Grano Glider Recliner is a contemporary nursery glider proudly made in Canada. We've trimmed all the bulk off the traditional recliner, yet kept all the comfort with this compact design...and made it glide too. Our grano glider recliner is so comfortable, you'll want to take all your naps in it. 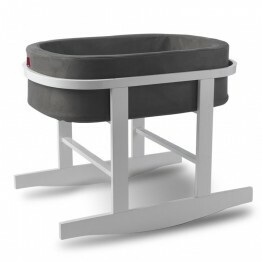 Enjoy the soothing glide, then recline and rest your feet on the pop-up foot stool. The glide will lock when the recline option is activated. 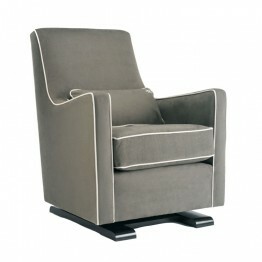 In the nursery or in the family room, you'll be so grateful for this clean-lined, sleek chair. Even the foot rest handle is hidden between the seat and arm, allowing the profile to be uncluttered and simple.